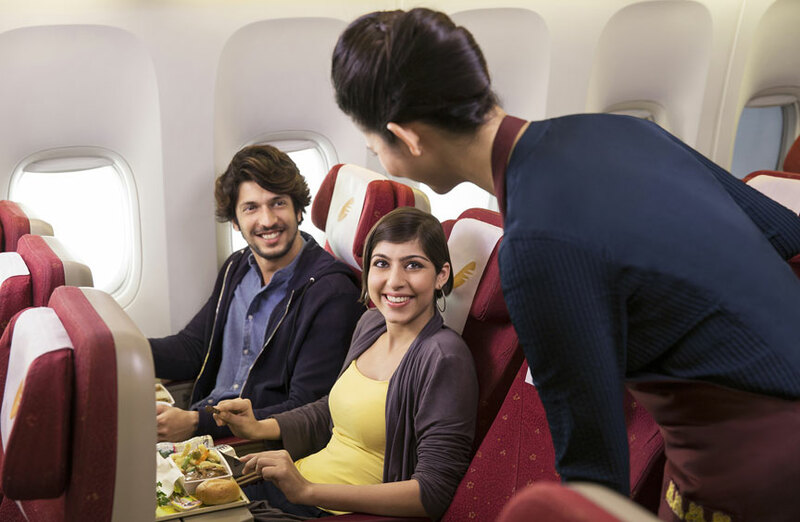 Welcome on board Jet Airways, with 25 years of bringing #JoyOfFlying to India and the world, India’s full-service premier airline flies to 65 destinations across the globe including Dubai, Thailand, Singapore, India and Sri Lanka. Their high standards, reliability, efficiency and innovation has allowed Jet Airways to become one of India's favourite domestic and international airlines. With innovative, revolutionary designed seats, you’re able to stretch out as your seat moves itself into an ergonomic position giving you extra comfort. Plus with the 6 way ‘hammock’ headrests and unique foot net, this will ensure you arrive refreshed. 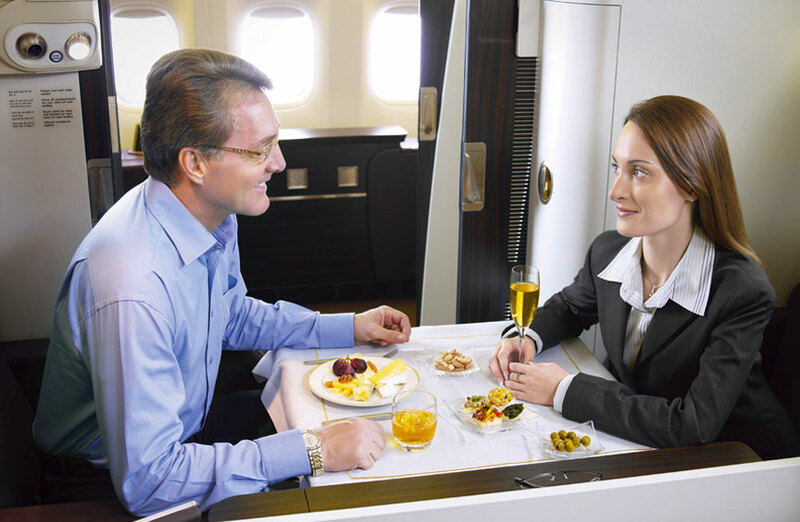 Enjoy hours of in-flight entertainment on your own 10.6” touch screen TV, and enjoy a tasty meal. Stretch out in the most spacious seat in the sky. Première is an experience like no other, with a revolutionary lie-flat bed in your own walled personal space and easy aisle access. Catch up on work or simply enjoy the flight with your 15.4” LCD touch screen TV – they’ll even bring you popcorn. 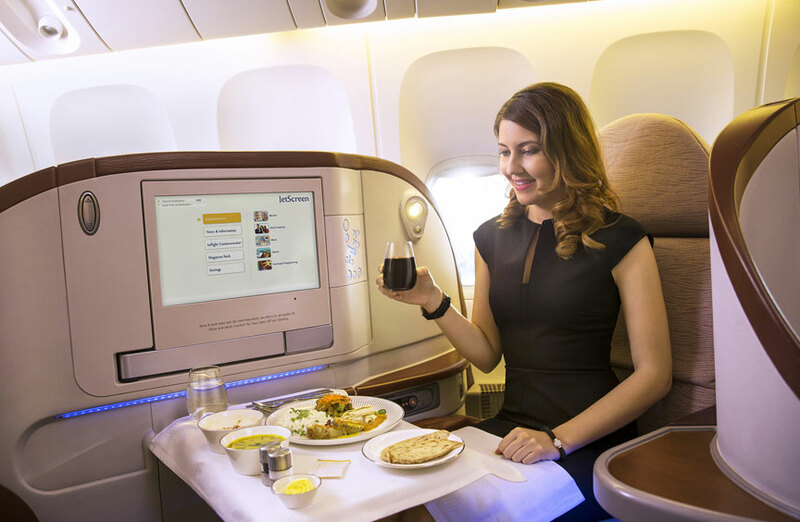 Enjoy a fine dining experience with ‘Dine Anytime’* plus each seat has its own in-seat power socket to keep you connected. Step into your own private bedroom, 40,000 feet above the sea. Enjoy a luxurious First Class experience in your private suite with dual sliding doors, mood lighting and wardrobe to ensure you arrive in style. With a 23” flat screen TV and Bose noise cancelling headphones you can enjoy the best of the silver screen. Personalise your own five-course meal from a choice of international dishes, washed down with a glass of Bollinger La Grande Année, award-winning wines, whiskeys or signature cocktails. *Only available on A330 and Boeing 777 aircraft. The above prices are guidelines only and are correct at the time of publishing. Subject to availability. Other travel dates are available, supplements may apply. Please use the search box or call for details. For more information please read our Pricing Terms and Conditions.